The French colonies of Senegal and French Sudan were merged in 1959 and granted independence in 1960 as the Mali Federation. The union broke up after only a few months. 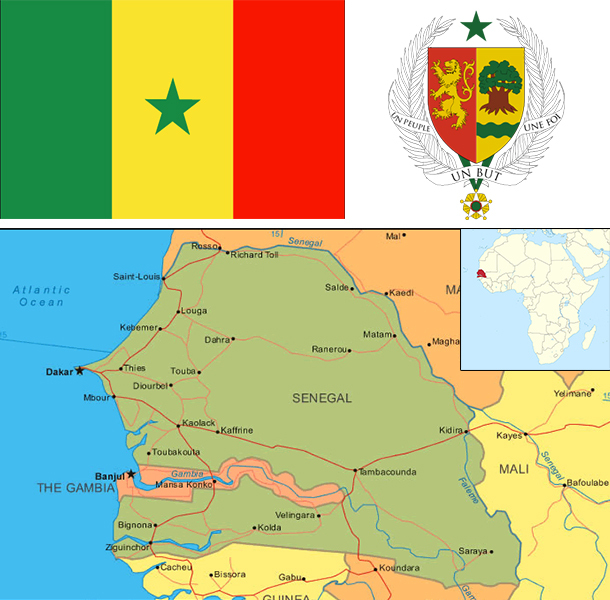 Senegal joined with The Gambia to form the nominal confederation of Senegambia in 1982. The envisaged integration of the two countries was never implemented, and the union was dissolved in 1989. The Movement of Democratic Forces in the Casamance has led a low-level separatist insurgency in southern Senegal since the 1980s, and several peace deals have failed to resolve the conflict. Nevertheless, Senegal remains one of the most stable democracies in Africa and has a long history of participating in international peacekeeping and regional mediation. Senegal was ruled by a Socialist Party for 40 years until Abdoulaye WADE was elected president in 2000. He was reelected in 2007 and during his two terms amended Senegal's constitution over a dozen times to increase executive power and weaken the opposition. His decision to run for a third presidential term sparked a large public backlash that led to his defeat in a March 2012 runoff election with Macky SALL, a former ally and prime minister. Since taking office, SALL has launched an economic reform program aimed at boosting economic growth, and his administration has conducted corruption investigations against senior figures in WADE's government. Senegal’s economy is driven by mining, construction, tourism, fisheries and agriculture which is the primary source of employment in rural areas. The country's key export industries include phosphate mining, fertilizer production, agricultural products and commercial fishing and it is also working on oil exploration projects. Senegal relies heavily on donor assistance, remittances and foreign direct investment. President Macky SALL, who was elected in March 2012 under a reformist policy agenda, inherited an economy with high energy costs, a challenging business environment, and a culture of overspending. Senegal received technical support from the IMF in 2010-2014 under a Policy Support Instrument to assist economic reform through sound macroeconomic and fiscal policies to reduce the fiscal deficit, increase transparency and facilitate private investment. President SALL unveiled an ambitious economic plan, the Emerging Senegal Plan, which aims to implement priority economic reforms and investment projects to increase economic growth. Bureaucratic bottlenecks and a challenging business climate are among the perennial challenges that may slow the implementation of this plan. Investors have signaled confidence in the country through Senegal’s successful Eurobond issuances in recent years, including in 2014.